David Pinyerd taught historic building survey as an adjunct professor at the University of Oregon from 2002-2012. 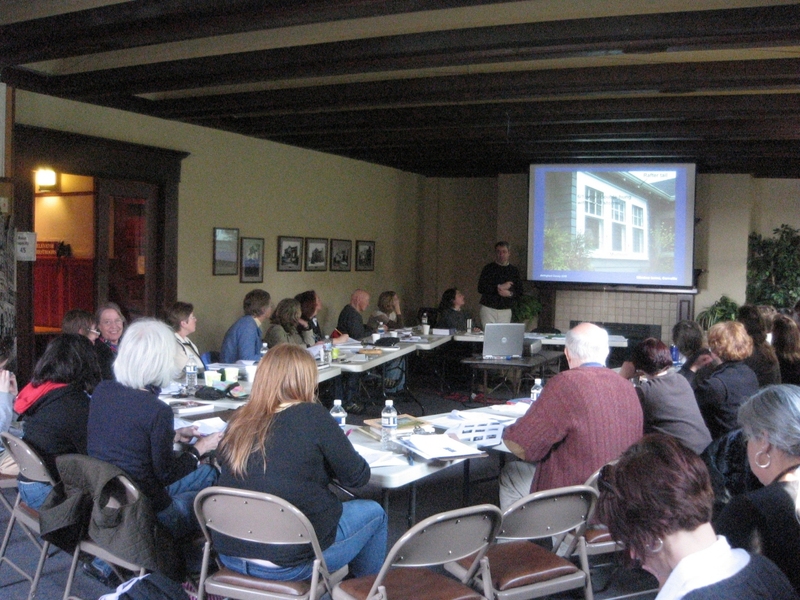 As an offshoot, we taught an introductory course for our survey volunteers in Bellingham, Washington, in 2008. Click on the link above to begin a download of a PDF-version of the presentation. The file is in an Adobe Acrobat format. If you don't have Adobe Acrobat, you can download it for free from Adobe.